One or two players control two soldiers named Ricky and Mary, who must fight their way through large eight-way scrolling levels rescuing their comrades who are being held by aliens. After they have rescued a certain number of hostages the exit opens and they can pass through it in order to fight the end-of-level guardian. If this monstrosity is defeated, they move onto the next stage. 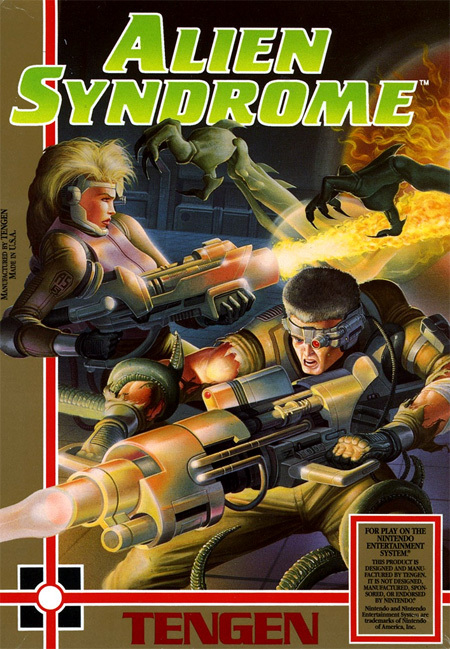 As well as two player simultaneous gameplay, Alien Syndrome features pick-ups which assist the player including better weapons and maps of the current level.